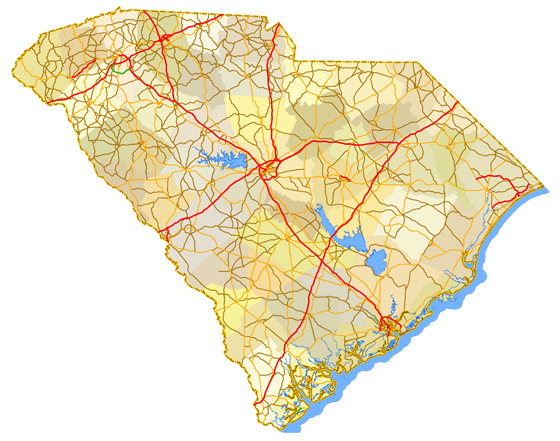 Sitemap to all pages covering the state of South Carolina. Photography contributions by Alex Nitzman, Andy Field, Brent Ivy, Carter Buchanan and Robb Ellis. The author of the original South Carolina Highways and route log is Paul Chris Martin. 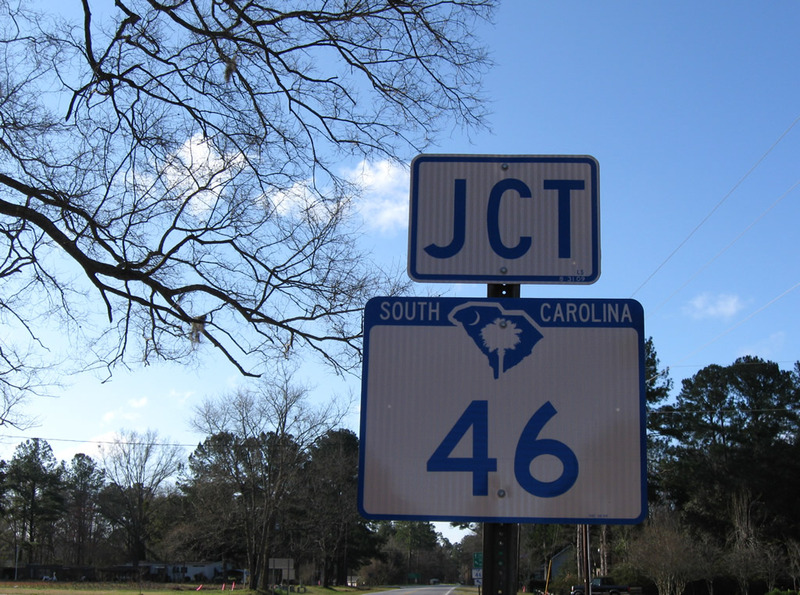 Many South Carolina 3-digit state highways derive their numbers from a parent route (U.S. Route or State Highway). The branch route numbering begins with the parent number followed by a suffix ranging between 0-9, or in the case of a one-digit route, 00-99. Examples include South Carolina 291 (29-1), which leads both north and south of U.S. 29 and South Carolina 760 (76-0), which spurs east from U.S. 76 & 378 to Fort Jackson in Columbia. South Carolina utilizes spur and connector routes for both U.S. and State Highways. These routes are generally unsigned and short in length. For instance U.S. 52 Spur, which appears on maps dating back to the 1960s in Charleston, is an unsigned spur connecting U.S. 52 with the Battery. Other examples include U.S. 25 & 276 Connector in Travelers Rest, which lines the former U.S. 25 between its bypass and U.S. 276 through downtown and South Carolina 16 Connector, which extends along Rosewood Drive to U.S. 76 & 376 (Garners Ferry Road) and S.C. 760 (Fort Jackson Boulevard) in Columbia. SCDOT unveiled a new base for state highway markers in June 2007. The new shields include a silhouette of the state superimposed with the heritage symbols of the state, the sabal palmetto and crescent moon. New signs were grand fathered in during regularly scheduled replacement of existing signs.